Learn about prey model feeding from a well known wolf advocate, conservationist, researcher, writer/speaker, former professional athlete and SFRAW member, Oliver Starr. Oliver will speak about how he feeds his own animals: Arctic Wolf, Aqutaq and Wooly Malamute, Bixby. 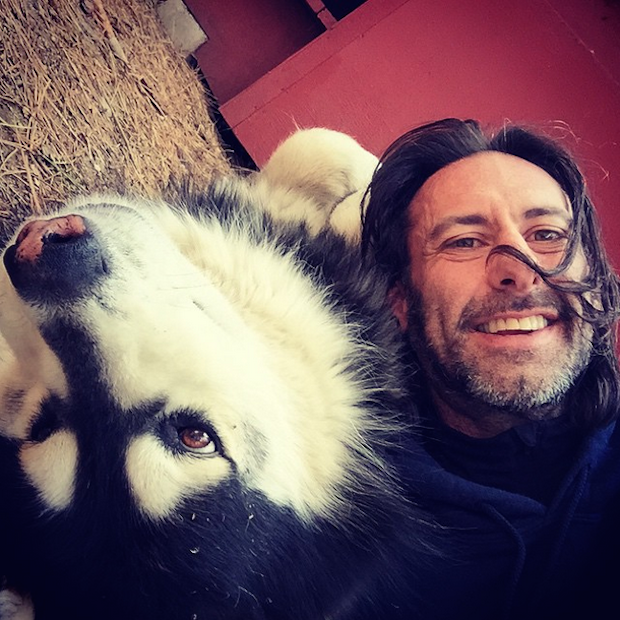 Through his 30-years experience of working with, researching, educating about and caring for wolves, Oliver has developed a unique raw diet and feeding program which closely replicates the diets of wild canids. PLEASE RSVP by emailing us: sfraw@sfraw.com or calling 415-225-0589 Space will be limited. Oliver’s ambassador wolf, Aqutaq will be in attendance for you to meet. 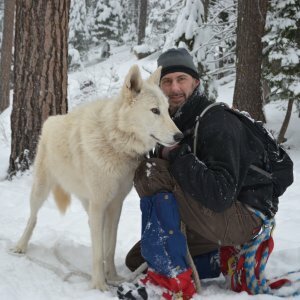 This is a unique opportunity to meet a wolf and learn about feeding raw from one of our own members that is an expert writer and speaker on this interesting topic. Oliver Starr is an entrepreneur, a writer and a consultant. He has also been a professional road and mountain bike racer, a big wave surfer, and a highly competent skier. He is the youngest person in history to ride a registered century bike ride – an accomplishment he achieved when he was only 7 years old. It took him over 9 hours. Upon completion he was asked if he was tired. He responded that he was not. He then closed the door of the vehicle in which he was traveling, buckled his safety belt and was asleep before the car had left its parking spot. Currently Oliver is the Executive Editor of GTDtimes, a web site that is focused on aggregating all the best news and information related to David Allen’s “Getting Things Done” paradigm of personal and professional productivity. In recent years past Oliver has been the founding blogger at two nationally recognized blogs: MobileCrunch, a TechCrunch Network Blog and The Mobile Technology Weblog. He was also the Senior Vice President of Business Development and Chief Mobility Officer for Foldera and prior to that was the CTO of one and CEO of two other start-up ventures that he helped lead from inception to acquisition. Educationally, Oliver’s focus has always been on the sciences with a particular interest in ethology, biology, biochemistry and kinesiology. Oliver is nationally recognized as an authority on mobile devices as well as sports performance and pharmacological and dietary means of improving both general health and athletic performance. He is a prolific writer and a seasoned public speaker who frequently participates in technology conferences both in the US and abroad. Oliver can be reached at oliver at owstarr dot com or via phone at 415-704-4544. Oliver’s presentation was really wonderful! What a great experience this was.